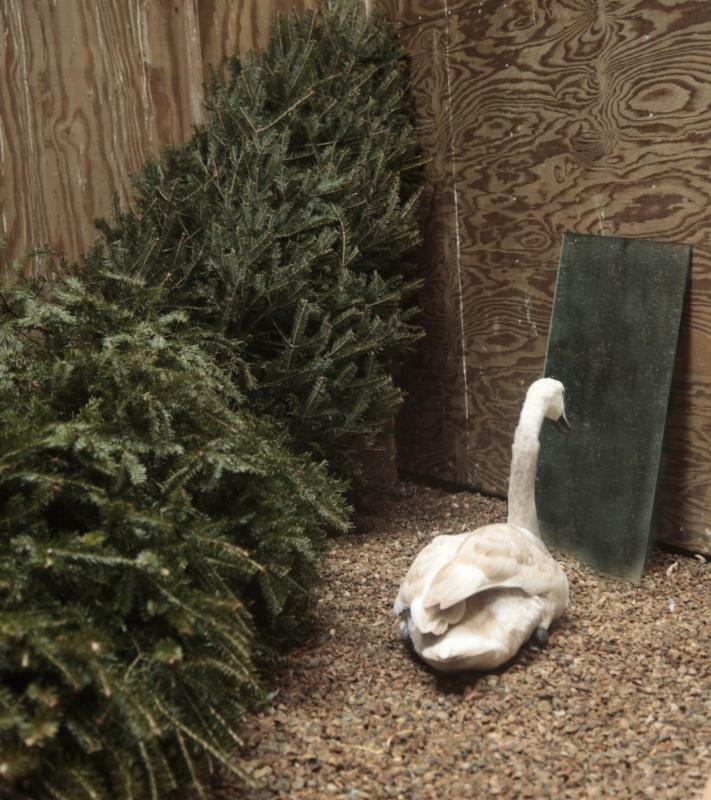 Mute Swan admires herself in the mirror. Happy New Year everyone! What an incredible year. Wild Care saw 1,716 animals in 2017. A record number, and 343 more animals than 2016. We feel good knowing we were able to provide care to these animals in need, and provide our services to all of Cape Cod! Provided care for 745 orphaned animals displaced from their parents. Answered 9,746 phone calls from the community regarding wildlife & more. Increased our release rate from 41% in 2016, to 46% in 2017 (the national average is ~33%). We are excited to launch into 2018 with you, and continue to provide and expand our services for people & for wildlife. We hope you enjoy this "Year-in-Review". It is a quick snapshot of some of the exciting happenings at Wild Care in 2017, all made possible by your love and support! Make a ﻿donation today . 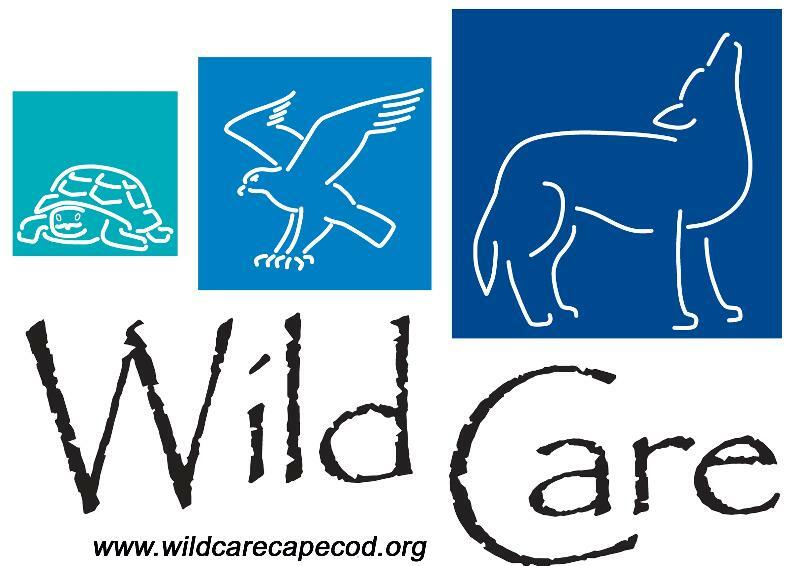 ﻿Wild Care - Every Animal Matters! 1st orphaned squirrels of the year arrived early! 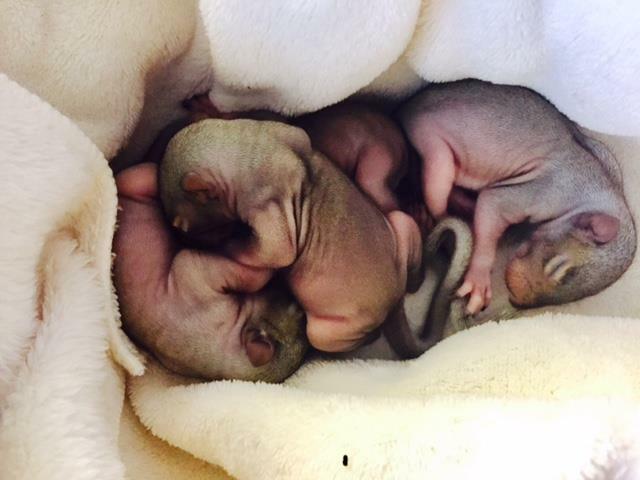 Our first orphaned Eastern Gray Squirrels shown here, actually came to us earlier than normal - February! But here they are on March 17, 2017 at 2.5 weeks old. Squirrels have 2 litters per year, generally March and August. These little ones broke the squirrel seal... 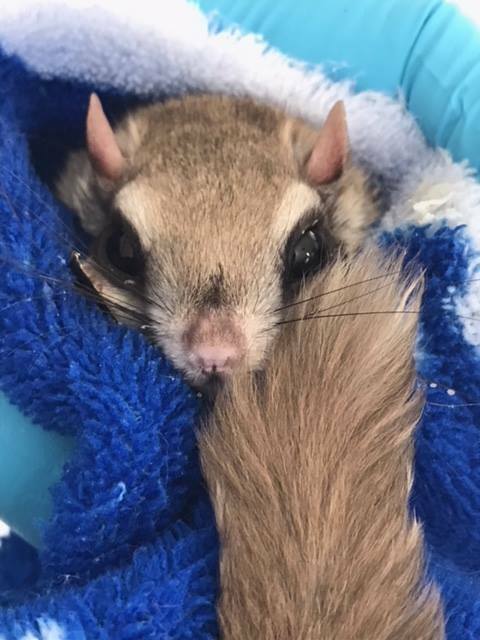 Between March - September 2017, Wild Care cared for 96 orphaned squirrels. That's nutty! April - Life After Raccoons! 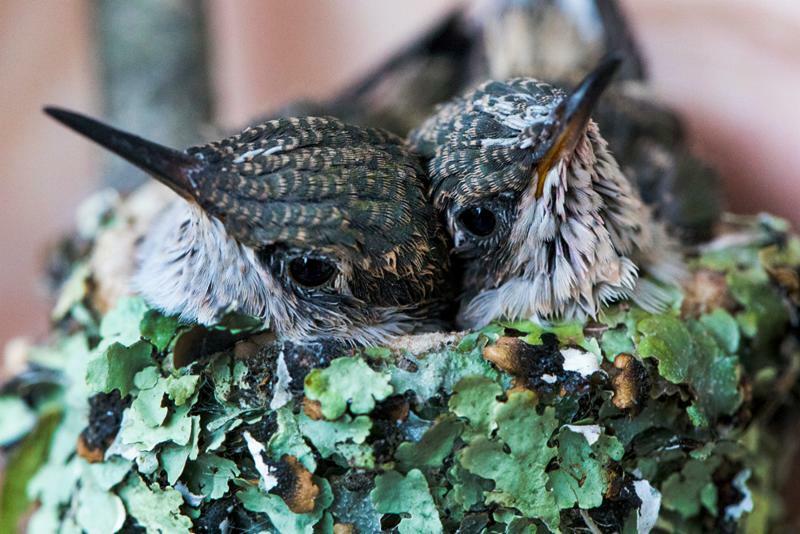 These two orphaned Ruby-throated Hummingbirds came to us merely a week old, still in their nest and featherless. 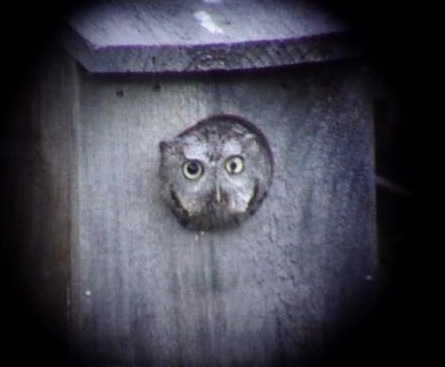 Their nesting tree was cut down in Middleboro, and attempts to reunite them were not feasible. These birds require a tremendous amount of delicate care, initially being fed every 20 minutes over the first week, with a rich nectar formula, ground up fruit flies, and other essential vitamins and minerals. Fortunately, baby birds grow quickly and these two were released in late August, just in time for their southbound migration. 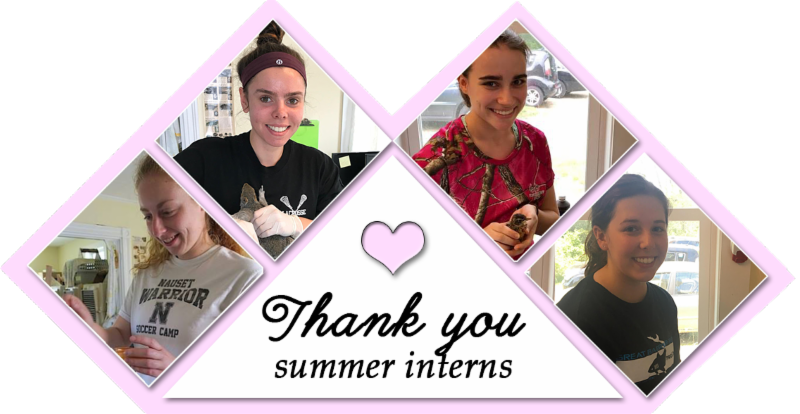 In September, Wild Care said goodbye to 4 outstanding young women, our Summer Interns! By then, we had already treated 1,407 animals. This would not have been possible without our interns, and our dedicated volunteers! Thank you Carolyn Brooks, Michaela Jacks, Jamie Soucie, and Emily Fish.  These internships were made possible by the Virginia Wellington Cabot Foundation and the Edward Bangs Kelley and Ezra Kelley Foundation, Inc. and we are grateful! 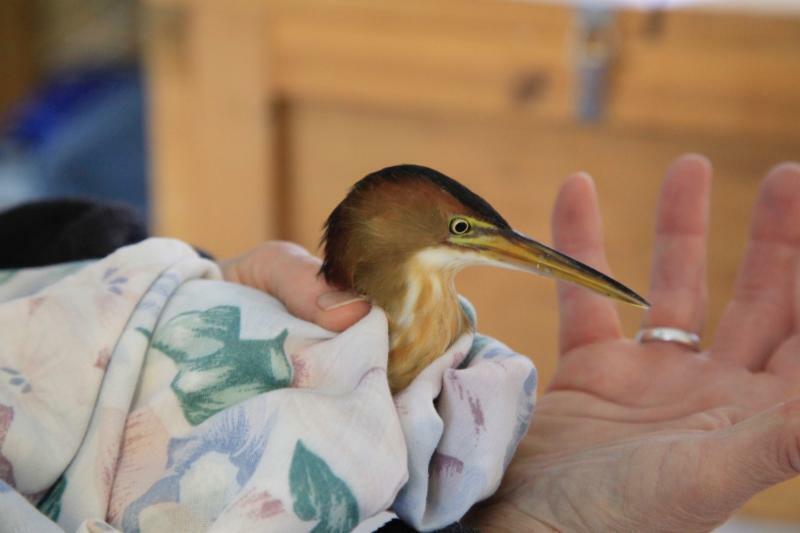 An Endangered Species was brought to our care - a Least Bittern. It is a tiny bird, the smallest heron in the world, weighing about the same as an American Robin. Along with its injured foot, it was emaciated and extremely weak from its migration. With supportive care and as little stress as possible, the bird gained weight, and the wound healed quickly. 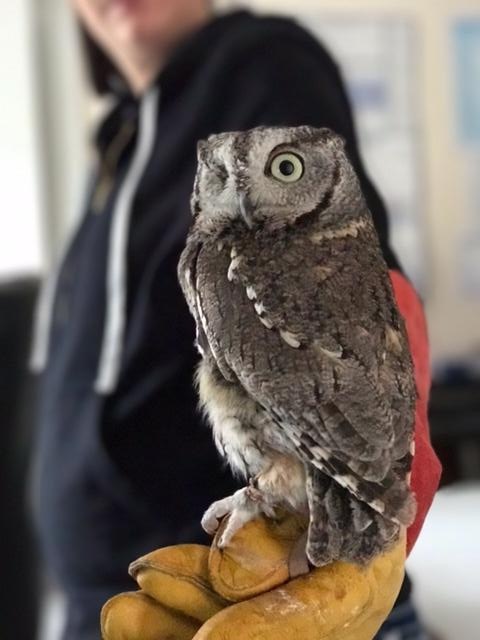 This beautiful little bird was released back into the marshy habitat in Orleans near where it was found. 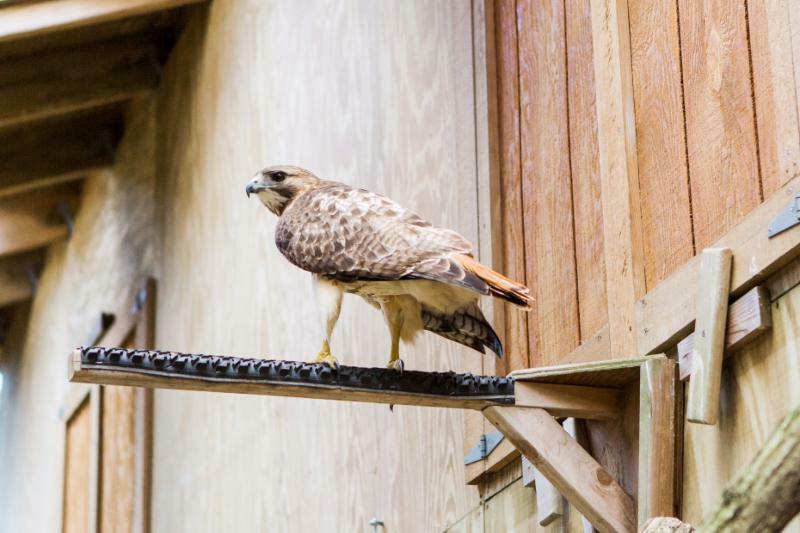 This Red-tailed Hawk defied all odds and was released, despite having been shot illegally, and left to die in Chatham. A bullet had gone through its right coracoid bone (collar bone) and lodged into the pectoral muscle. The coracoid is part of the shoulder assembly, and the pectorals are the wing muscles that power the downstroke. It was thought that this bird may never fly again. 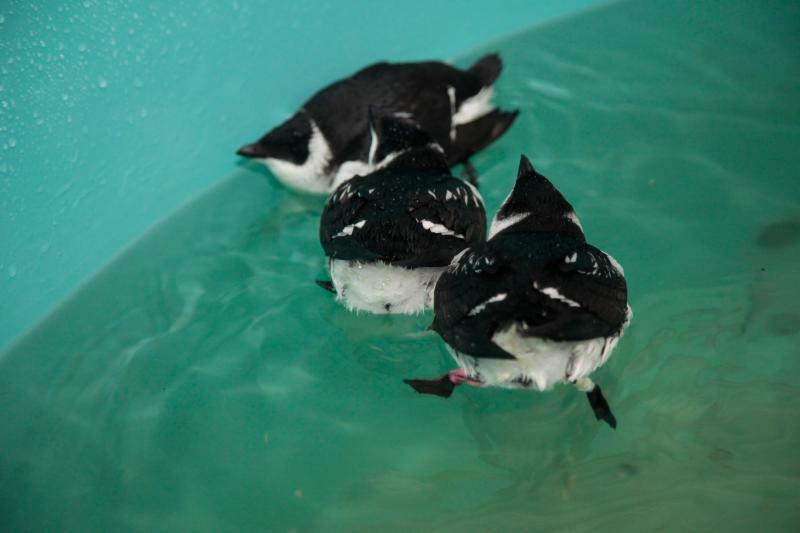 The bird received many months of wound management, pain medication, antibiotics and physical therapy. 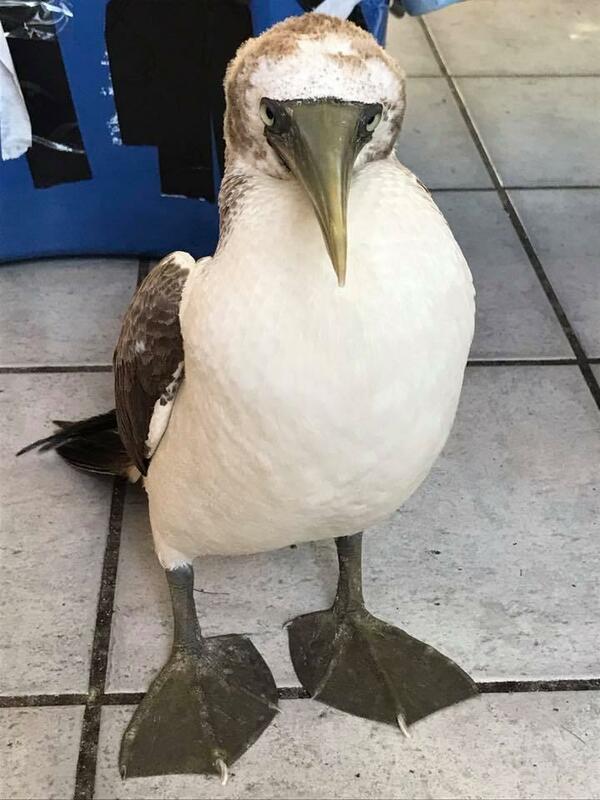 Though the perpetrator was never caught, we are delighted that this bird was able to fly free again! 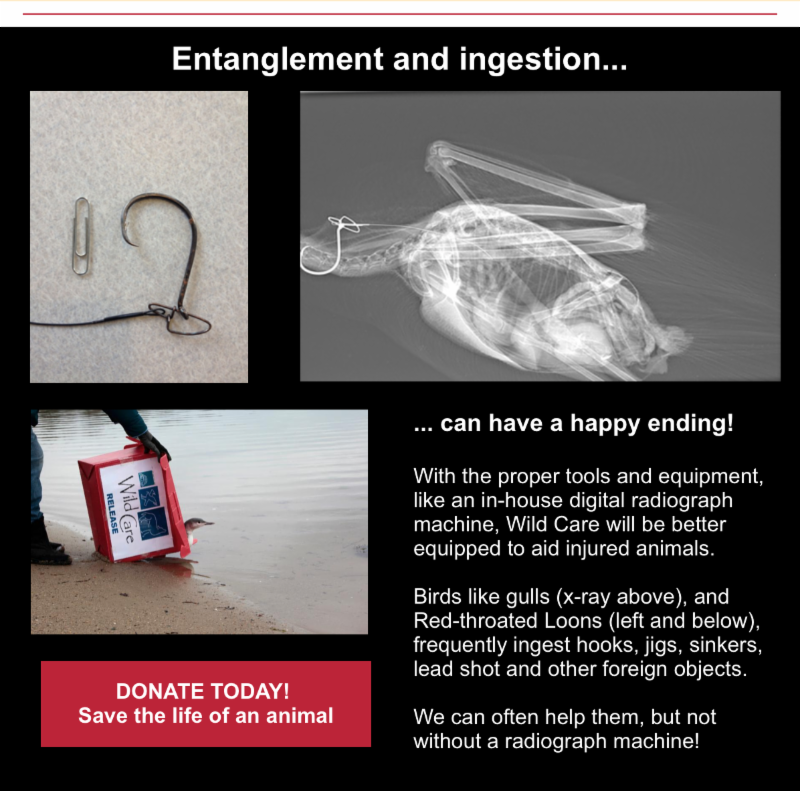 For #GivingTuesday on November 28, 2017, you helped us to raise an additional $5,000 to secure a radiograph machine (to take x-rays!) The machine will be installed next week, and will further improve our quality of care. We are ecstatic and grateful! We'd also like to thank the Friends of Cape Wildlife for donating a $2,000 match towards the machine. We'll be taking x-rays in no time! Dinosaur? 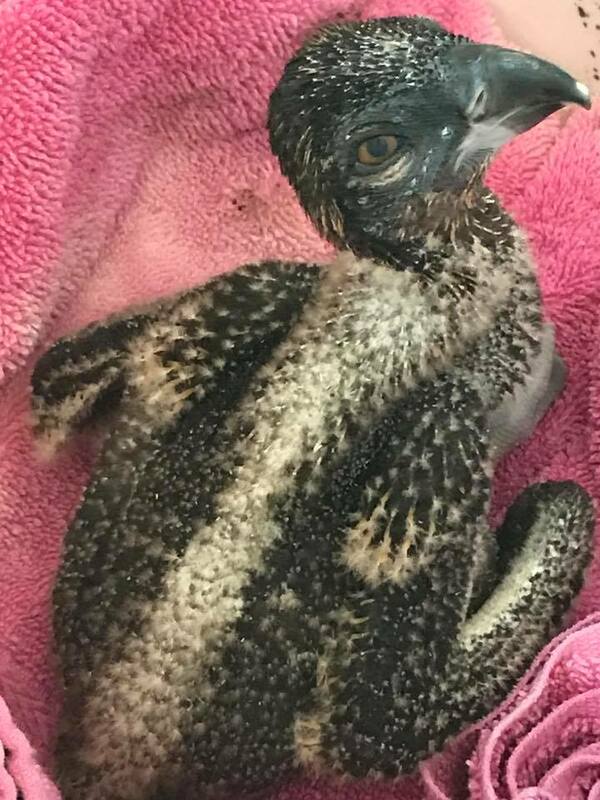 Osprey chick photo by Amy Webster. December - We stayed warm Christmas Day! On Christmas Day, an intense wind storm shook much of Cape Cod, causing power outages Cape-wide. 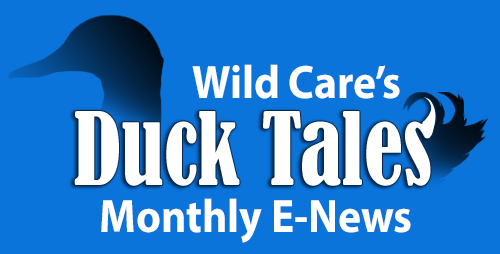 Wild Care lost power, but fortunately, thanks to a generous anonymous donation, we had recently purchased and installed a natural gas-powered automatic generator. The generator kicked in, and our patients (and our Animal Care Coordinator) were able to stay toasty warm all day. Never have we been so excited about losing power! Thank you Leon Knight of Knight Electric and Ed Pavlu of Pavlu Plumbing and Heating of Brewster, for your timely installation. Thank you for a great 2017. Let's make 2018 even better! Please make a donation today.